Sunset Junction is just about the best location on earth. A hipster Disneyland, if you will. I mean, Intelligentsia, Naturewell, Art Craft & Vintage Flea Market, Pop Physique, Sunset Triangle (featuring a farmer’s market and outdoor movie screenings), Millie’s, Lark Cake Shop ( I could go on forever) ALL within walking distance?! The awesomeness is just absurd. We were super excited to stage a duplex on Maltman Ave (by the 99 cents store!). 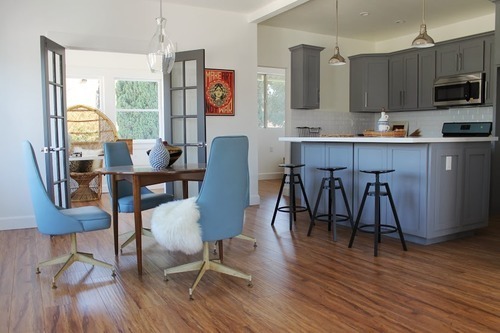 With a huge patio overlooking Sunset Blvd, a completely remodeled interior and eco-friendly xeriscaping all around the property, we went with hipster-MCM all over. 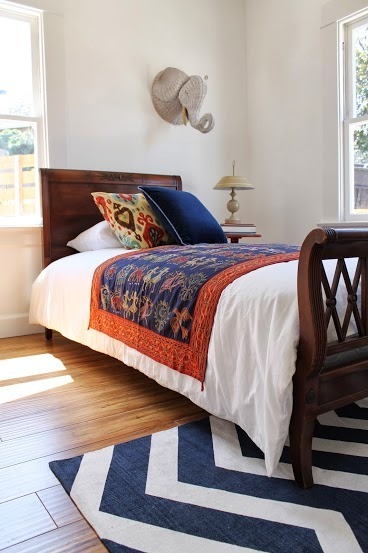 A kilim-style rug always sets a great foundation for minimalist pieces. 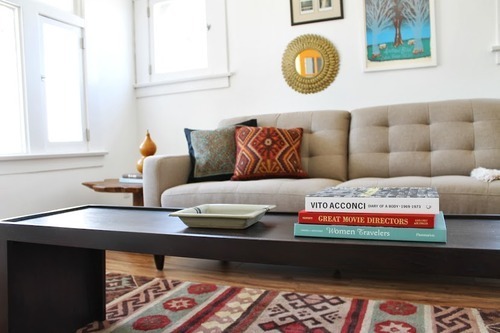 Some hardcovers we picked up at Alias Books East top the bench-turned-coffee table. Who says you have to wait until fall for decorative gourd season? We balanced ours on a root table. A mid-c dining table surrounded by vintage meeting chairs found at a favorite thrift source (Disabled Veterans on San Fernando). 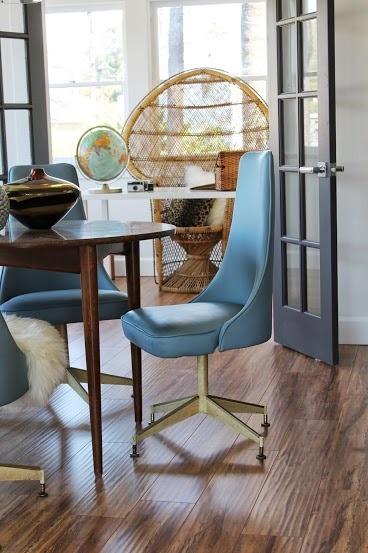 The Dalfred stools by the island are a favorite IKEA product. They’re so versatile! 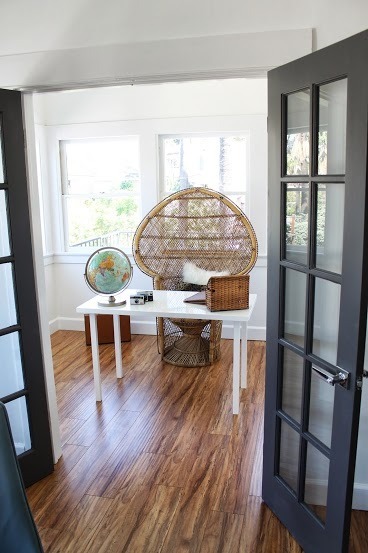 Two French doors enclose a sunny office overlooking the heart of Silver Lake. See that awesome chair right there? Yeah, the amazing peacock one? It was thrifted. The table was an IKEA as-is steal. 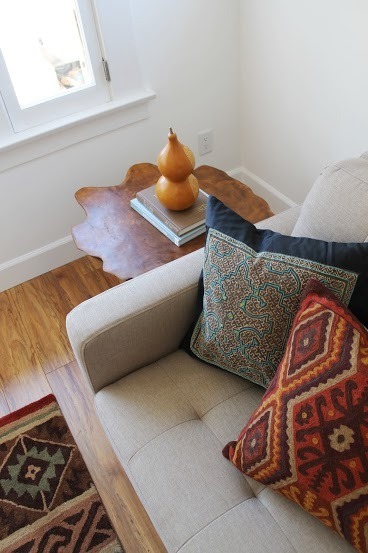 A 70s woven throw was also found during a Madison Modern Home thrifting adventure. 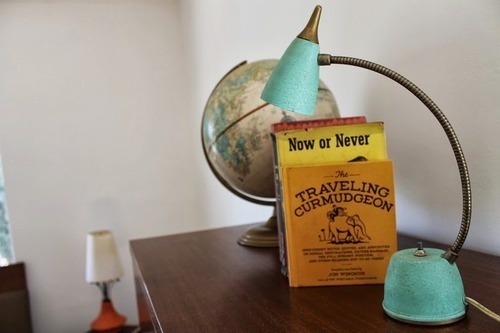 The tiniest lamp ever, sourced from LA Resale Company, acts as a bookend for silly vintage books. Do you have a globe obsession like us? 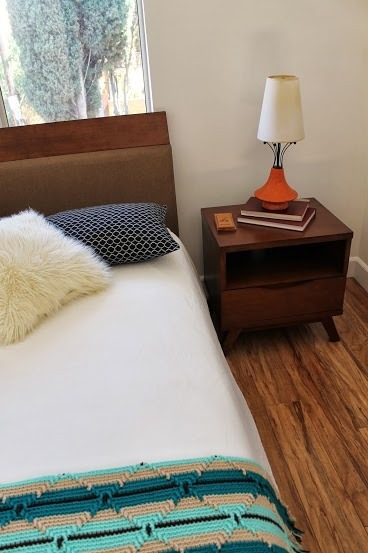 A red, white and blue color scheme in the oh-so-cute kid’s room. Complete with elephant head. The giant patio has enough space for THREE parties! 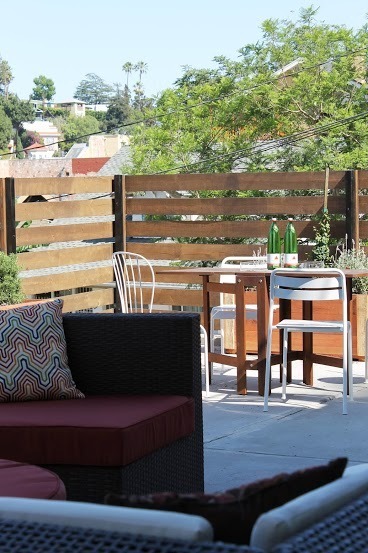 A horizontal slat fence provides some privacy, while retaining a gorgeous view of the hills. We used a sectional deck set and an al fresco dining area.